Every month, we’ll be profiling one of the funeral directors who we work with, to give you more of an insight into how they work and what makes them tick. First up, Sussex funerals. We spoke with Philip Evans, the owner. You can look at reviews left by real customers, get their prices and contact Sussex Funerals here. Hi Phil, hope you’re well. 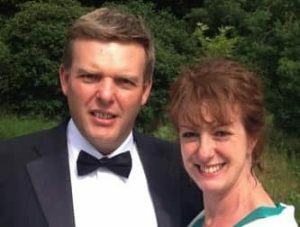 Sussex Funerals is a husband and wife team. That’s right, yeah. I look after the Hove office, and my wife Sallie looks after the Brighton branch. The Hove office is the main office, while Brighton is the satellite office. How did you guys get into the industry? My brother had died, which was the kick-start for it all. Initially I trained as a celebrant, taking services in London. At that time, I was still working in my role as a freelance Investigator, which helped me find the time to begin training as a celebrant. I built up a good network of funeral directors in South East London which provided me with work. This led to me being offered a position as a funeral arranger with a firm in Bromley. Then finally I started to think that I could actually start my own funeral director’s business, with support from my father who was also in the same business. Later on I met Sallie who joined me after getting to know me about three years into the business and of course we then married. So you got used to death quite early on then? Well actually my earlier career as a Police officer helped me to deal with certain scenarios and so I was able to use those transferrable skills and that experience to assist me in my role as a Funeral Director, in particular when dealing and communicating with vulnerable people. And indeed, in our own personal life, shortly after we got together, my wife Sallie was diagnosed with breast cancer, which during the course of the treatment allowed Sallie and I to, not only become closer together, but over that time period, it also changed our outlook on life and indeed death – it’s part of our story. This has helped us to understand a bit better what some of our clients are going through and what their loved ones have been through and enabled us to get even closer to some of them. Do you have a way of treating clients at Sussex Funerals? Most people don’t know much about funerals when they need to arrange one. That’s right. First and foremost, we aim to approach them by simply being ourselves. We don’t pretend to be people we’re not. I think that’s important, to be genuine and authentic. And I find that when someone walks into a funeral directors’ office and you sit down and begin the conversation, it often comes down to personalities. So, in short, our approach is that we just try and be ourselves when we meet and greet people, rather than put on an act. 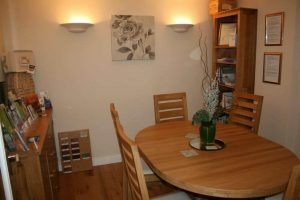 Our offices are modern and comfortable, it’s a bit like being in someone’s dining room and we’ll just listen to their story about their loved one, and what’s happened, usually over a cuppa. Sometimes it’ll only be in a few words and sometimes people want to talk quite a bit more. So we always listen and deal with each family’s needs based on their own merits. There’s always different dynamics in each situation and it’s important that we constantly and consistently keep an open mind, while presenting ourselves and our business. Are there any particularly memorable funerals that you’ve arranged? Colourful-wise we once had a very long procession of cars wanting to follow the hearse. Which itself was full of colourful balloons. It was quite a challenge getting them in! Every car had a balloon tied to a wing mirror, to stand out as being a part of the cortege and when you looked back you could see this trail of cars with colourful balloons, which really was a quite amazing sight. Once we did a funeral for a couple who wanted a beautiful, colourful hearse all lit up with fairy lights. It was mid-winter and they had a late afternoon slot and by the time we arrived at the crematorium, so you can imagine how lit up lit was, with half a dozen fairy lights. That was unusual. We will always strive to go the extra mile and give people what they want. The most emotional memorable moment, was the time that I was taking a service for a young mother and wife. She left behind her ten-year-old boy as well as a husband, parents and of course all her friends. Well, she’d written out her own personal tributes to each and every one of them. Nobody knew, except her very closest friend, who coordinated the funeral with me. As the celebrant, I had to read these all out…she went through all their personality traits and thanked them all for everything that they meant to her. That was really touching and emotional and has stayed with us ever since. You were one of the first to join Beyond, back when we were Funeralbooker. Why did you? I liked the concept of what Beyond was offering. I can be quite a difficult man when it comes to signing up to anything that especially involves advertising or marketing! Bearing in mind I also have a Trading Standards background and so integrity and transparency are very important to me. We are one of very few funeral directors in Brighton who openly lists their costs on our websites. Beyond helps to make life easier for families who find themselves needing to compare prices and identify those reputable funeral directors. That’s something which I support. I can see regulation coming in to force funeral directors to declare their costs. If you sell products on the high street you have to declare how much they cost. Obviously, the funeral industry is different, there is a little more ambiguity with regards to costings. But I believe that as a company, we’ve cracked it, though it hasn’t been an easy task. Just to keep doing what we’re doing – providing a quality service to people who need it. We’re not interested in growing any bigger. But rather we are contented in looking after the families that come to us personally, which works for us, and of course keeps us both busy as we continue to feel blessed coming to work each day in a profession that we love. With cremations now accounting for an impressive 76% of all funerals in the UK, more and more families are looking for creative – or even spectacular – things to do with their loved one’s ashes. That’s where Scattering Ashes come in. Founded in 2009 by Richard Martin, this incredibly comprehensive site aims to help its visitors find the perfect way to say goodbye, whether that be a peaceful seaside scattering or going out with a bang in an ambitious firework display. This month, we caught up with Richard to talk about scattering techniques, Viking funerals – and why you don’t want to leave ashes at Jane Austen’s house. Hi Richard! Thanks for the interview. How did Scattering Ashes come to be? 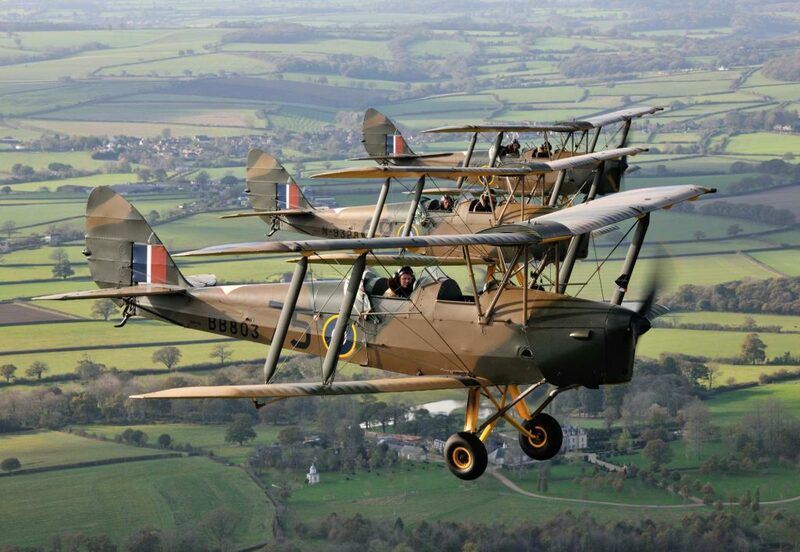 Richard and the team can help you scatter ashes from a vintage wartime Tiger Moth plane, among other things. I’d scattered my dad’s ashes years before, and felt that we were left a bit at sea because the funeral directors didn’t have any information. We scattered his ashes at his golf course, and we weren’t made to feel very welcome when we went there – and we certainly weren’t made to feel welcome when we wanted to go back. It all just felt a bit unsatisfactory. So, I had the idea that perhaps I could help people by providing information about scattering ashes, because there was nothing out there online. I started blogging and then the business grew from there. The Viking longboat urn from Scattering Ashes actually floats. What’s your favourite scattering method on the site at the moment? 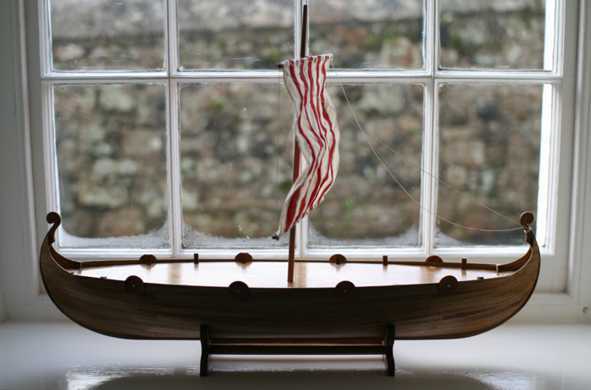 One thing that seems to have hit a chord with people is the Viking boat. 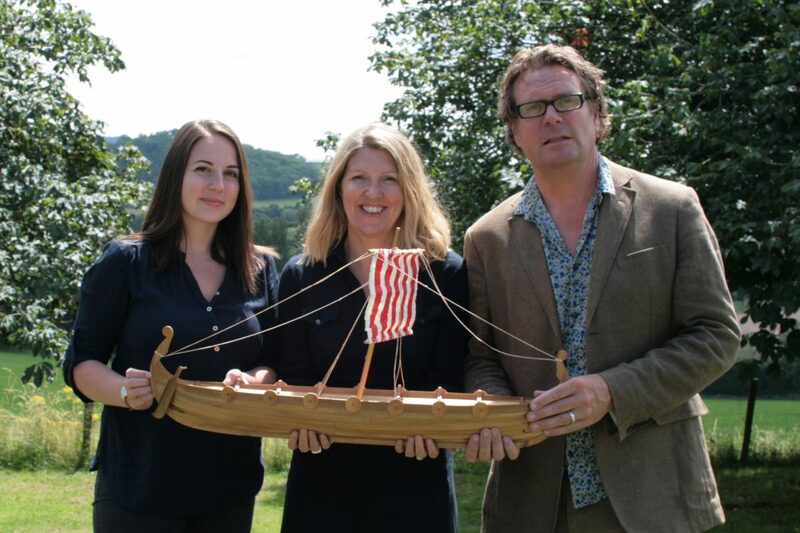 We do an almost metre-long Viking boat that holds a full set of ashes. You can set it afloat, set it on fire, and it goes up in a blaze of glory. We’ve tested them, and they’re pretty cool, I have to say. When we’ve seen them set sail, they’ve looked amazing! I quite like the fireworks too. Why do you think people are looking for more exciting things to do with ashes now? I think society has become more accepting of death. I also think that the old religious practices don’t suit as many people these days – maybe you don’t necessarily want a vicar speaking at your funeral because he never really knew you, and you’re not religious in the first place. And more people are thinking, ‘Well, actually, I don’t want that sort of faux-Victoriana, I want a bit more of a celebratory approach to my life’. That scene from The Big Lebowski. You run courses on scattering ashes for funeral directors. Do you have any top tips for a successful scattering? Mind the wind is my main one. There’s that scene in The Big Lebowski. Exactly. Another is to be safe: a chap died last year scattering ashes after he got washed off shore in Cornwall, and the year before that a couple died in Spain doing it, and the year before that a lady fell off a cliff doing it in Ireland. Don’t go to these extreme places, because you’re putting yourself in danger. 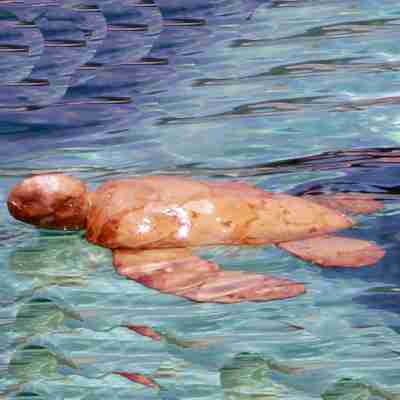 This floating turtle urn from Scattering Ashes is completely biodegradable. The third thing is probably to be aware of the amount of ashes. People tend to think it’s going to be light. In movies, like The Big Lebowski for example, there’s literally a few handfuls. But in reality, there’s something like six pounds of ashes. But with a bit of thought, you can make it quite a poignant, memorable ceremony, which is what we try to educate people about. You keep a (really very comprehensive) record of places that allow scattering – do people often say no? More and more often, now. When we first started a lot of football clubs were saying yes, and now many say no. Some are trying to cater for it with memorial gardens instead: they realise the demand, but they don’t want it impacting the pitch. The more people scatter ashes in one place, the more troublesome they find it? 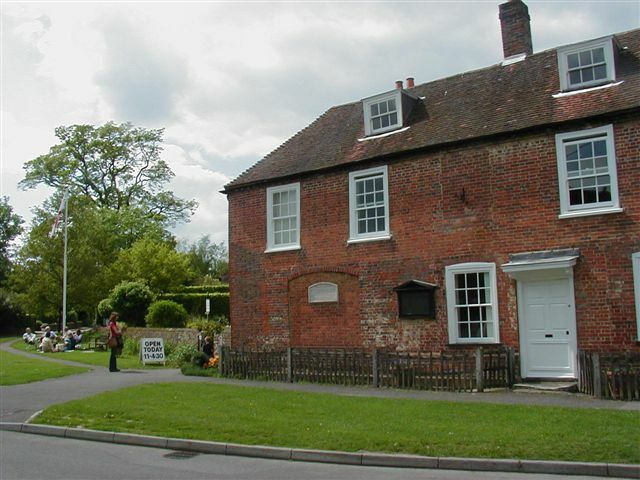 Jane Austen’s house in Chawton, where visitors have been asked to stop secretly scattering ashes. Image by Joaotg, courtesy of Wikimedia Commons. Absolutely. Two particular places come to mind. One is the top of Ben Nevis: a lot of Scots will have their ashes scattered at the top of Ben Nevis. The ecosystem up there is relatively fragile – mosses and lichens. It might look barren, but it’s not. Ashes are rich in calcium and phosphorus, so when you put a lot of ashes there, you’re changing the ecology of the place. So, the Mountaineering Council of Scotland has asked people to stop scattering at the summit. They had to put a press release out for Jane Austen’s house because people were sneaking over the wall at night and upending the urns on the weekend. The gardener might come back on Monday morning and find three piles of ashes that had been dumped, and of course, a rose bed can only take so much. You won Best Bereavement Resource at the Good Funeral Awards in 2015 – what’s your secret? Honesty, really. I try not to be partisan, and to look at both sides and just use the facts. I don’t have any particular drum to beat about this; I think people should have the right to choose what they do with ashes, as long as it doesn’t impact others. Also, it’s pretty comprehensive: I’ve phoned up and emailed virtually everyone. There must be getting on to 800 posts on there now. Impressive! And what’s next for Scattering Ashes? We’re offering training courses for funeral directors and crematoria staff and celebrants, which is new. We’ll also be increasing our trade offer, putting wholesale options on the site. And we now have a sister site here called My Pet’s Ashes, which offers similar services for pet owners, because they’re part of the family too. 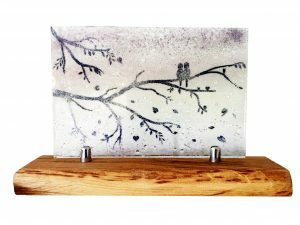 If you’d like to find out more about Scattering Ashes, head on over to the site at www.scattering-ashes.co.uk. And if you have your own ash scattering story to tell, we’d love to hear it! Share your thoughts in the comment box below. What do you see when you look at this pendant? To the untrained eye, it might look like … a pendant. But to those in the know, it’s something unusual, and completely unique: those flecks and swirls in the glass are made from the ashes of someone who has died. 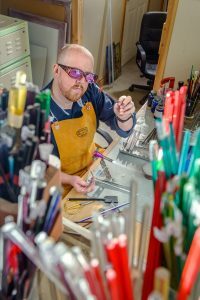 In fact, the necklace is just one item in a range of mourning jewellery and sculpture created by glassmaker Kenny Scott and his team at Ash Glass Design. 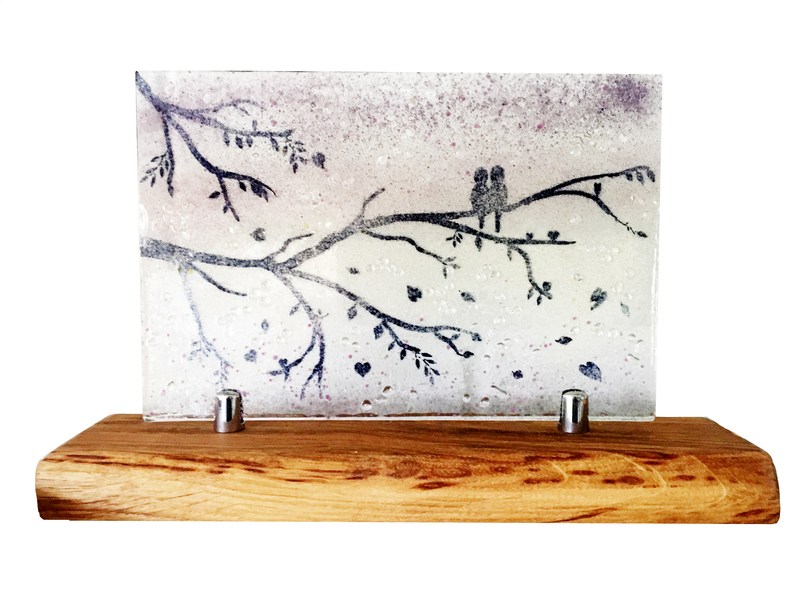 Based in the picturesque village of Clovenfords in the Scottish Borders, Kenny and co. craft bespoke cremation glass jewellery for families who want a subtle way to carry their loved one’s ashes with them. How did Ash Glass Design get started? 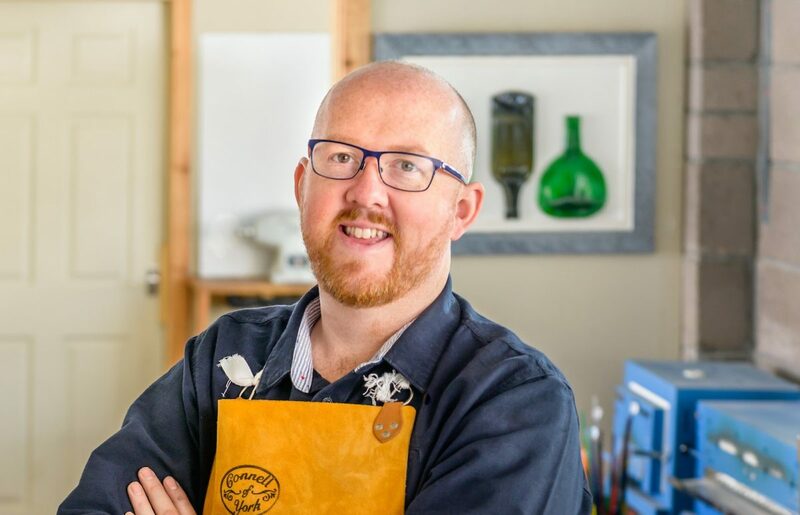 “One of my friends who’s a funeral director approached me and asked if I would make a memorial pendant for someone using ashes”, Kenny told Beyond. While at first Kenny wasn’t sure (he describes it as “a wee bit of a Marmite moment”) the family was so pleased with the result that he immediately realised that he wanted to do it again. Why do people like cremation jewellery? 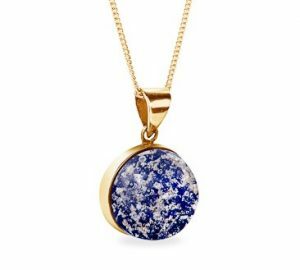 Cre mation jewellery isn’t for everyone ­– but while some find the concept morbid, others like the idea of keeping a loved one close in a subtle way. “I speak to all the customers, and I think for them the nicest thing is the fact that they can have their loved one with them all the time, and it’s not in your face. It doesn’t have a big sign saying what it is – it’s just a lovely piece of jewellery”, Kenny said. In Ash Glass Design’s range, rings are the most popular option: “Somebody said to me, it’s like they’re still holding my hand. How is cremation glass jewellery made? The process of making cremation glass jewellery is long and somewhat delicate, with great care taken to make sure the right ashes (“labelled, bagged, boxed, bagged again”, Kenny reports) are used. 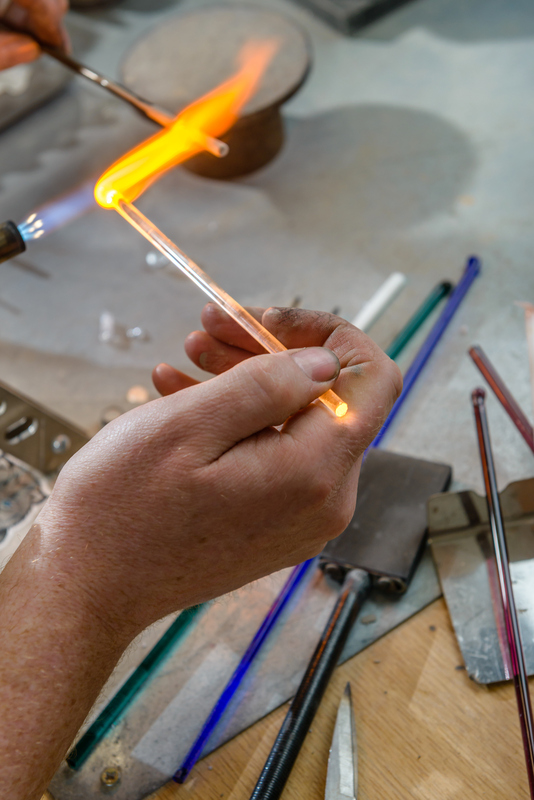 At Ash Glass Design, everything is made in-house. After a discussion with the family about the design, Kenny melts their required colour of glass to make a base. He then carefully adds the ashes before sealing it over with clear glass to make a perfect finished surface. After some time spent in the kiln – it takes a day and a half to gradually cool the hot glass down – the glass is polished down with diamond tools and set into the gold or silver using a traditional technique. Any ashes left over are returned to the family along with the finished piece. Because Ash Glass Design is a small company (Kenny, his wife Emma and “amazing” goldsmith Joanna) the team are able to take requests to make each piece of glass unique: “If somebody wants a bespoke colour in their jewellery, we never charge any extra … We do what we can to help folk get what they want. If [a customer] wants something to be adapted somehow, then we look into it for them”, Kenny explained. 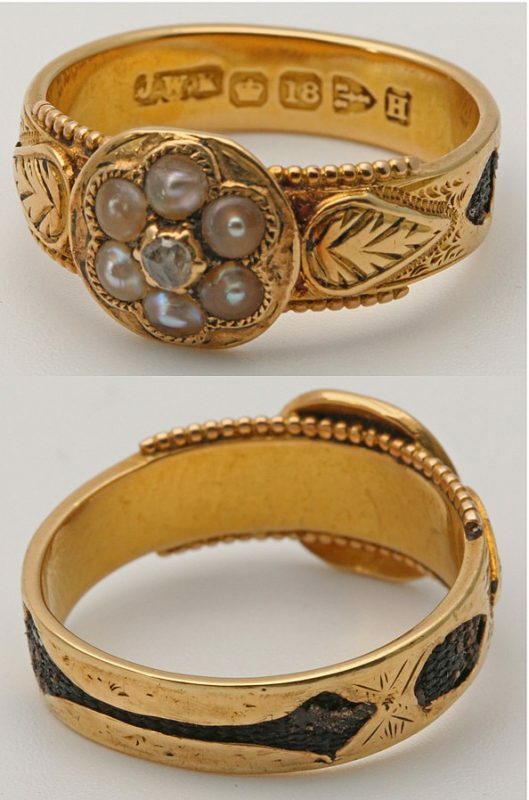 A Victorian mourning ring with hair sealed into the gold. Image by Charles J Sharp, via Wikimedia Commons. Mourning jewellery dates back as far as the 1600s, when stern memento mori-themed rings (‘remember that you must die’) were gradually overtaken by more personal tokens of grief. Examples from the British Museum demonstrate how gruff messages like “learn to dye” were replaced by kinder tributes, such as “not lost but gone before” and “not dead but sleepeth”. At its peak in the Victorian era, mourning jewellery was worn as part of a strict dress code for the bereaved. 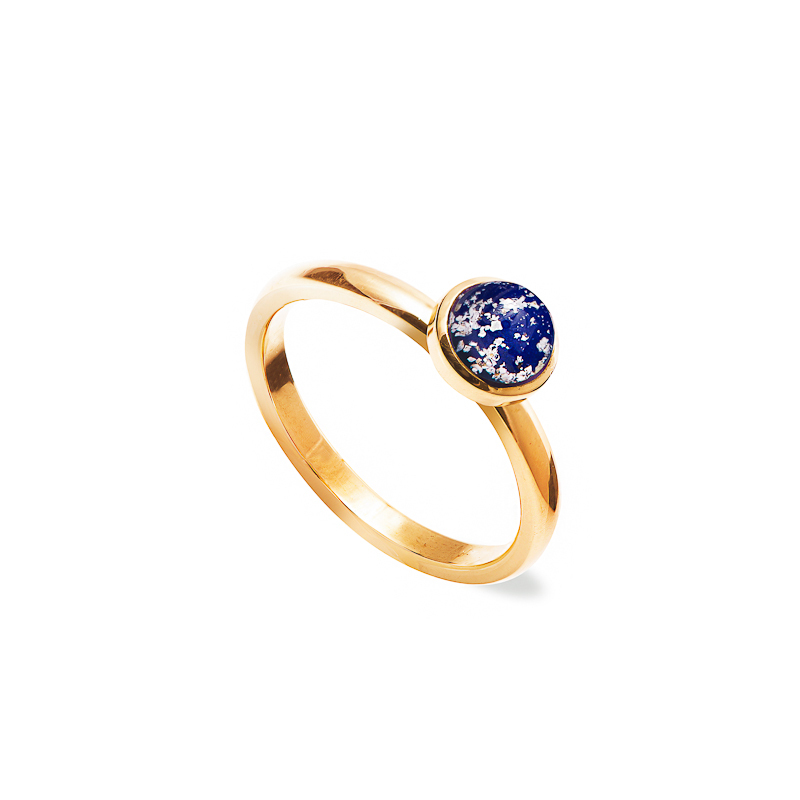 Mourning rings were joined by broaches and lockets, and were often made with jet (a precious stone that, being black, was thought to be mourning period-appropriate). Many contained a lock of the hair from the person who had died, or a miniature portrait. Popularity eventually declined as life expectancy increased – by World War One, mourning jewellery was out of vogue. But the desire shared by bereaved families for physical mementos of their loved ones never really went away. Now, the rise in cremation – 70% of people in the UK choose it over burial – and increasing openness about death are leading to a rise in interest, with companies like Ash Glass Design offering a more contemporary take. Whatever journey you’re on, you can trust Beyond to help you make the best decision.